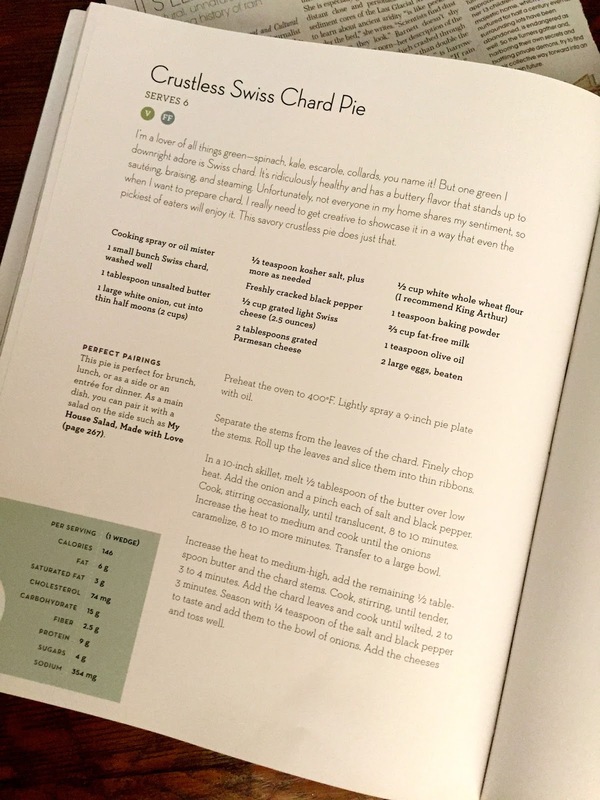 But this season, with the help of Gina Homolka's SKINNYTASTE COOKBOOK (my favorite cookbook of the moment...and, if you don't already have it, a wonderful purchase to make tomorrow, July 15, on Amazon Prime Day) I have a new-found and delicious way to put the mature chard leaves to use. Preheat oven to 400. Lightly spray a 9 inch pie plate with oil. Separate the stems fro the leaves of the chard ( a process I find very gratifying...). Finely chop the stems. Roll up leaves and slice them into thin ribbons. In a 10 inch skillet, melt 1/2 T of the butter over low heat. Add the onions and a pinch each of salt and black pepper. Cook, stirring until translucent, 8-10 minutes. 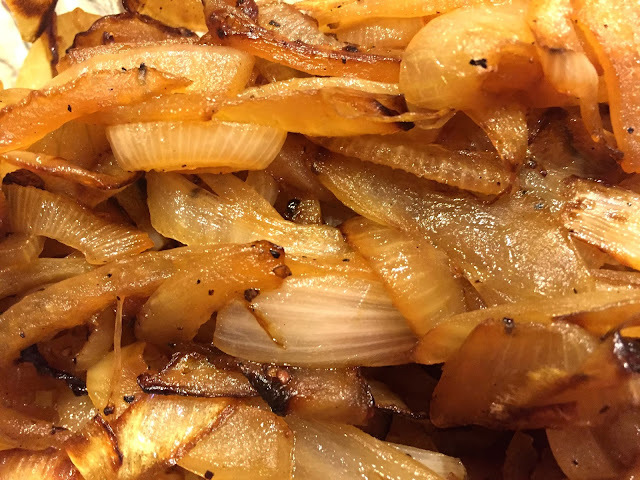 Increase heat to medium and cook until the onions caramelize. 8-10 more minutes. Transfer to large bowl. Increase heat to med high, add remaining butter and chard stems. Cook, stirring until tender. 3-4 minutes. Add the chard leaves and cook until wilted, 2-3 minutes. Season with 1/4 t of salt and pepper to taste and add them to the onions. Add the cheeses and toss well. Sift the flour and baking powder into a medium bowl. Whisk in the milk, olive oil, eggs, and the remaining 1/4 t salt. Pour into the bow of chard and mix well. Pour mixture into the prepared pie plate. I served it with spinach salad with a raspberry vinaigrette and it hit the spot. SO DELISH. Next up on my chard menu?